CD's have remained very popular, but there are times when it is more convenient to have a copy of your media stored on your hard drive, whether for security or simply to be used on mobile devices. To accomplish this easily there are a few CD audio recorder available, but which one is best? Just read on and learn. iMusic is a comprehensive recording package that can record from thousands of different sources, and then burn recorded music to CD. 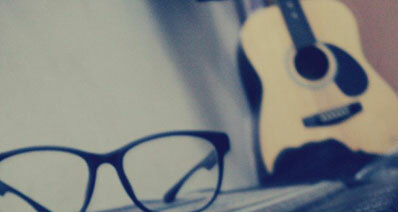 You can also turn recordable CD to music and record the music in MP3 format, and as it records using a lossless technique, will match the quality of the file being played. 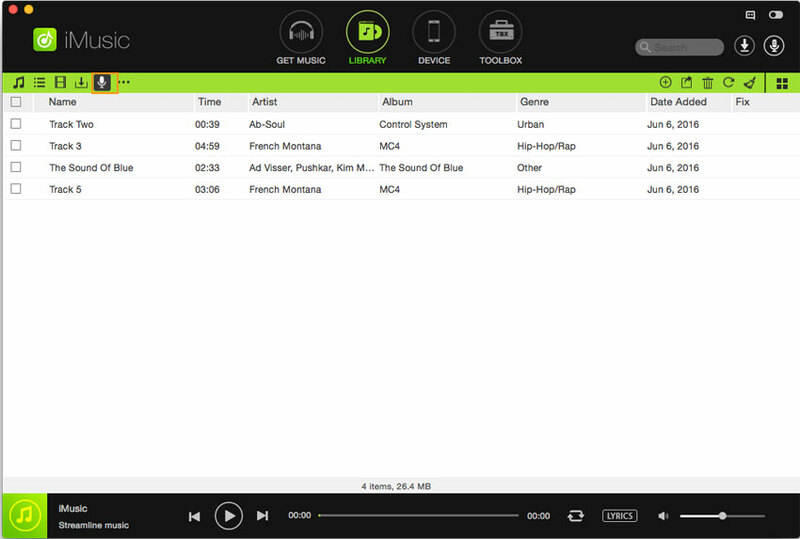 This CD recorder can also recognize and identify tracks as it records, whilst automatically tagging the files with the relevant cover, artist, track title and album tags as it goes. The resulting files are fully searchable by artist, album or track name to make things easy, and with the inclusion of iTunes integration to save your collection into iTunes Library automatically. 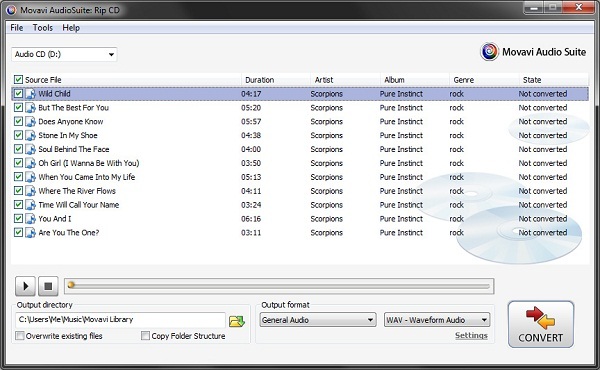 A CD audio recroder package that offers a wealth of features and makes recording audio from CD straightforward. Files can be output in MP3 or AAC formats, ready to export to your favorite mobile device. It is easy to use that you can turn recordable CD for music and produces quality output through a streamlined interface, although it is lacking in some of the more useful features such as ID3 identification and file tagging. Overall a basic audio recorder without any frills to make life easier. 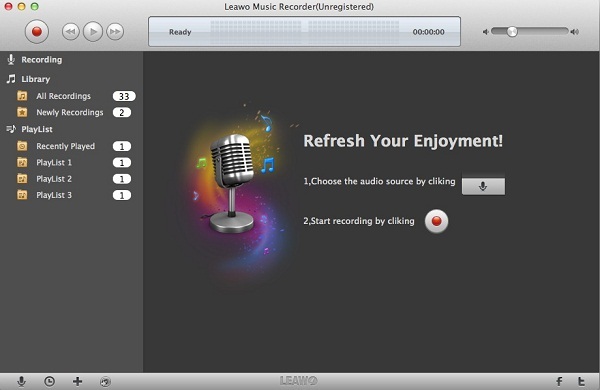 The Leawo product is a well-produced piece of music cd recorder software that gives users the ability to capture audio from CD quickly and easily. 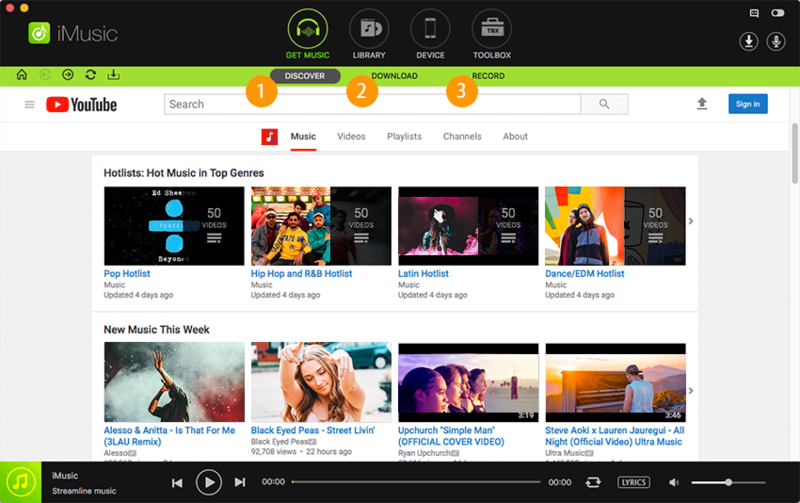 It has the ability to add tags for track title, artist and album automatically during the recording process to enable easy search and identification of downloaded media. This makes the Leawo package highly effective overall, and a very capable software choice. It has a nice interface, although not as use friendly as some here, and includes iTunes integration for simple transfer of your audio to your mobile device. With this free audio CD recorder software, you can create CD discs that you can play in any music center. It also allows you to record sound from a CD without interfering with its quality. It allows you to create a list of recordings with absolute ease. You can use it to decode and write audio formats on-the-fly. It needs to be updated frequently to keep working properly. Elements are simplistic and not bundled in one interface. 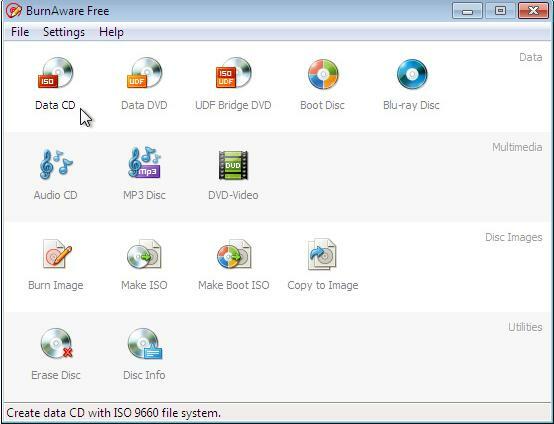 This CD recorder software allows you to burn both CDs and DVDs, including HD-DVDs and Blu-Ray discs. Other features include a Multilanguage interface and the ability to burn as well as create ISOs. Data is verified after the burning process is complete. It is supported on a wide range of operating systems. Its interface is a bit unintuitive. You need to download Microsoft .NET Framework to be able to use it, which takes forever. 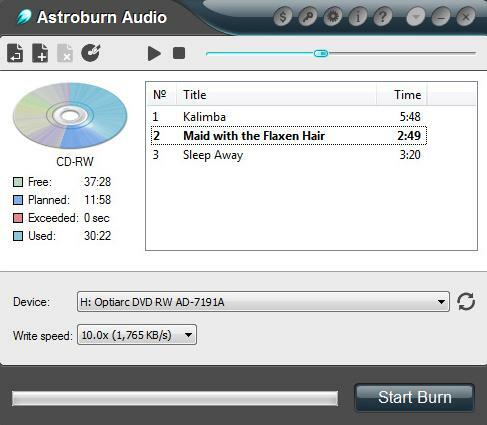 This music CD recorder allows you to burn all types of files to CDs, Blu-Ray Discs and DVDs, including photos, archives, music, documents and videos. It also allows you to create bootable or multisession discs. Its user interface is clean, effective and very easy to use. It does not take up much of the CPU during the burning process. It can be quite complex to use especially if you are still new to it. Some versions do not seem to work very well. 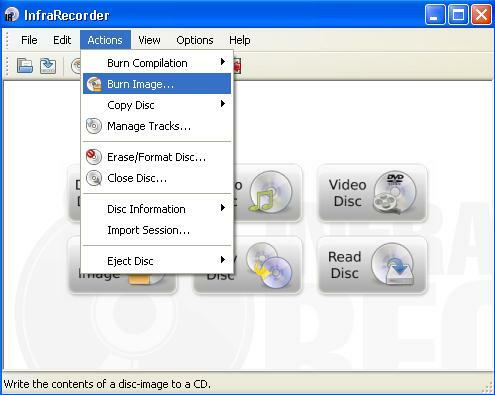 With this CD recorder application, you will be able to burn high quality CDs from your favorite MP3s so that you can play them in your house, car or anywhere else. It is very simple and easy to use. It will only take a few clicks to start using it. It has a built-in mini player that you can use to play your audio music. 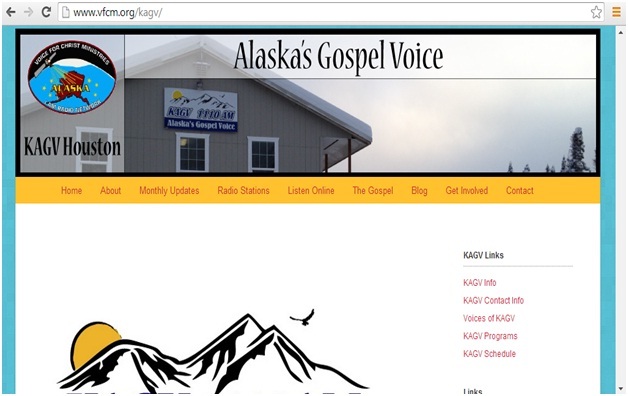 You can use to do CD recording. The free version does not have many features. Its interface looks a little bit complicated. This CD recording software offers a wide range of powerful features. It has an interface that is very easy to understand and use, and it supports recording to DVDs that have dual layers. You can use it to create disc copies as fast as possible. You can use it to create custom data and audio and then record them on physical discs and disc images. You can use it to erase rewritable discs. It does not have proper CD copying as well as writing utilities. 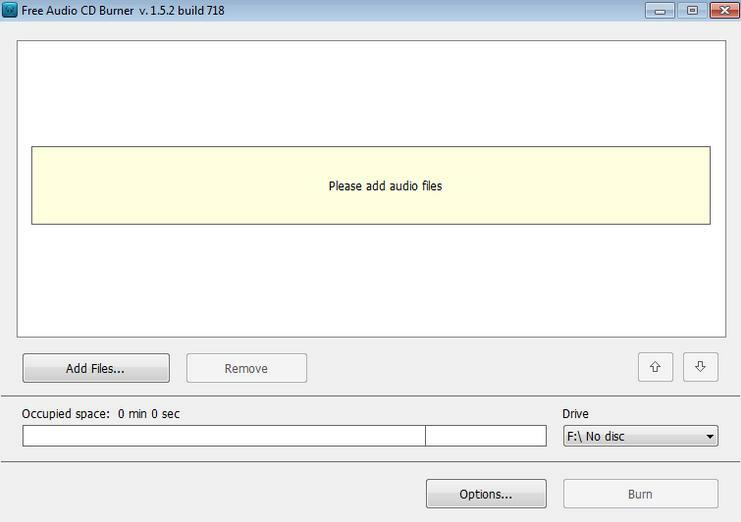 This is another CD recorder application not only supports MP3 and WMA formats, but also FLAC, lossless APE and WAV files. It allows you to modify a tracks list with absolute ease; you can add or delete items from the list, or adjust the music tracks according to your preferences. Everything is in one window, something which makes it absolutely easier to use. 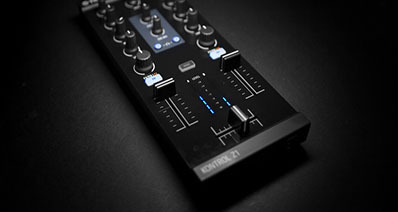 You can personalize it to suit your tastes and preferences using preset skins. It does not have a lot of options. It needs frequent updating and upgrading to work well. This software allows you to create and record discs quickly on both Mac and Windows. It allows you to record audio with direct digital recording which makes sure that perfect audio quality is maintained. It also allows you to normalize audio volume and customize the breaks between music tracks when you are burning audio CDs. It features ultra-fast burning speed that saves you time. 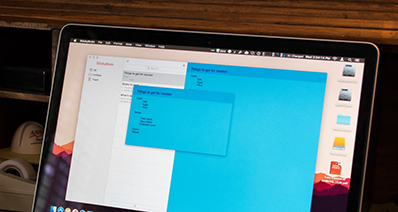 You can drag and drop files straight to it. Creating MPS DVDs with it can be quite difficult. If you use it to convert files, you will need to work with one at a time. Launch the CD recorder, and click "GET MUSIC" > "Record". Next, click the red "Record" button . Now simply start your CD playing in your favorite music player, iMusic will automatically detect that media that is playing, and begin recording. Once you want to finish recording, simply press the "Record" button again. You can find the recorded files in the music "LIBRARY". 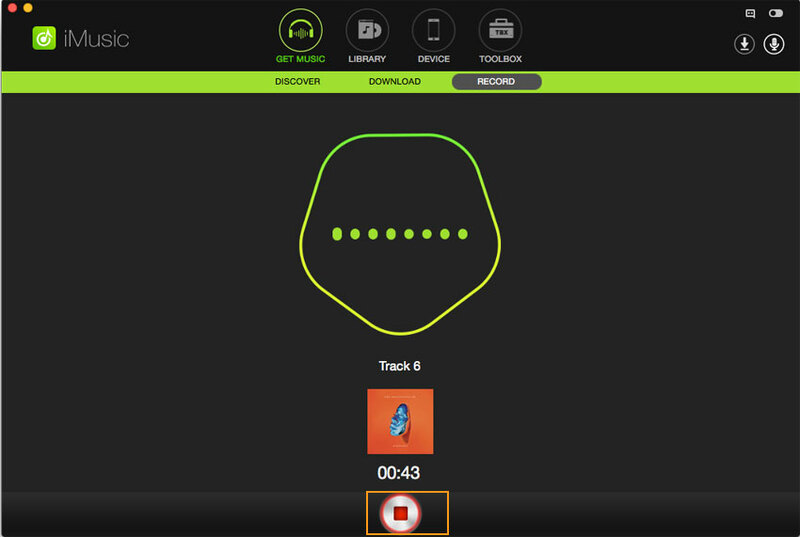 iMusic can split the tracks into separate files as well as tag each one with its title, artist and album name as it goes using the ID3 protocol. You can also compile ID3 tags by control clicking the file and select the "Edit Music Tags" option.